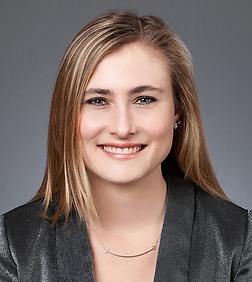 Mackenzie McGonegle is an associate in the Entertainment, Technology, and Advertising Practice Group in the firm's Century City office. Ms. McGonegle’s practice focuses on transactional entertainment matters, including rights acquisitions, development, library acquisitions, talent agreements (above and below-the-line) and production of motion pictures and television series. She works with studios, independent producers, distributors and digital content creators (including Entertainment One, Amazon Studios, Focus Features, Disney Television Animation, Oculus, Gaumont Television, Cosmic Pictures and Televisa). Prior to joining Sheppard Mullin, Ms. McGonegle worked at FX Networks, Gaumont Television, and Hirsch Wallerstein Hayum Matlof + Fishman, which specializes in the representation of actors, producers, directors, models and social media influencers. Ms. McGonegle studied law at USC, Gould School of Law, and focused her studies on entertainment and technology. At USC she was a member of the inaugural board for the USC Entertainment Law Spotlight journal as the Senior Notes Editor. Prior to law school, Ms. McGonegle worked as a director’s assistant and production assistant on the set of feature films and television productions.